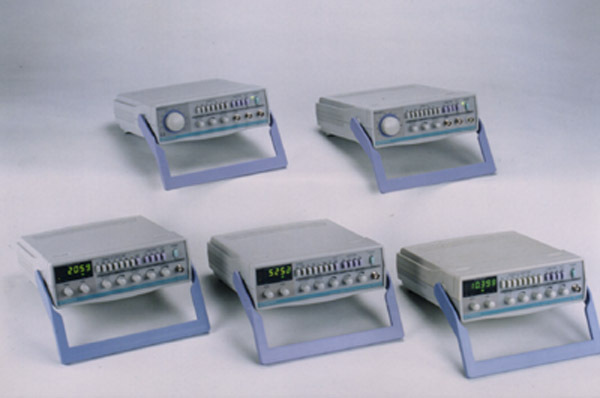 Single, triple output models, up to 120 volts and 12 amperes. Continuously variable voltage and current controls from zero to rate outputs. Excellent line/load regulations. Low ripple and noise. 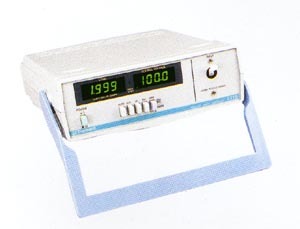 Simultaneous analog/digital display for voltage and current. 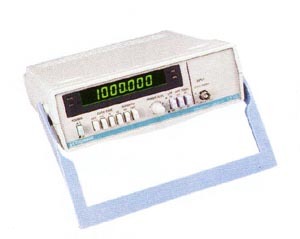 Constant voltage (CV) or constant current (CC) mode operation with LED status indicators. Short circuit protected, compact size with convection cooling. Independent, series, parallel switching function. 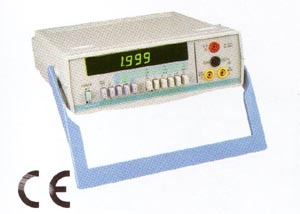 Ideal for electronic servicing, design labs, education, manufacturing applications. 0.1Hz to 2Mhz; 0.1Hz to 5Mhz; 0.1Hz to 10Mhz. Sine, square, triangle, pulse, ramp output. Three digital models with 6 digit 0.4" green LED display. 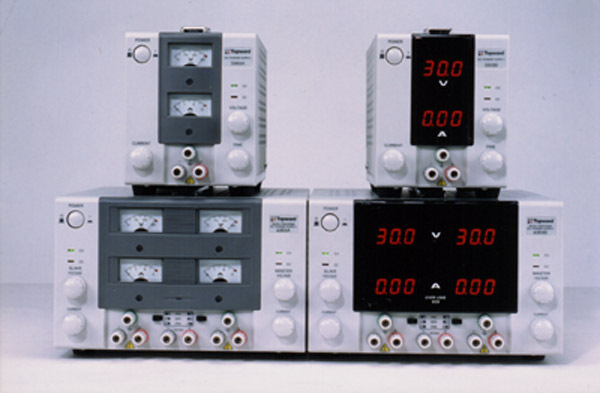 Variable duty cycle and variable DC offset. Three models with linear and log sweep. Three models with built-in counters.